I is for Idiot – and I was one! When my kids were little, my husband told me about homeschooling. He said he wanted us to homeschool. Amazingly, we knew two other families who homeschooled their children. I thought they were a bit strange because they were devout. And besides, they homeschooled their kids. And that made them weird, of course. I was brought up to believe that public school was the only right choice. So I thought that putting my kids into public school would teach them about all the different kinds of people in the world, or at least in our city. I even thought that public school needed my support so that all the other children could get a good education. When my children were six, I took them for their first day of Kindergarten. The class was over 30 children. I felt a small voice that day, telling me to turn around and grab them and leave before it was too late. But I ignored that voice. I was still a public education true-believer, along with everything that comes along with that worldview. Finally, when things had gotten downright terrible for my kids, my husband convinced me. I downsized our family business, and we began homeschooling. I think homeschooling changed me more than my kids. I discovered God and changed my worldview. I made a complete 180. This lifestyle caused me to realize how precious the gift of homeschooling can be. Now there isn’t anything else in the world I would do. It is simply the right choice. There isn’t a day that goes by that I don’t regret taking my children to Kindergarten. They were only in public school for 3 years, but that was more than enough. It took many, many years to heal those wounds. Happily, my children are strong, smart, independent, assured teenagers now. Homeschooling saved all of us. But still I was an idiot. How did you come to decide to homeschool your children? And, Did You Write An “I” Post? If so, then join our Link Up! Grab a button to put on your blog, and add your post below! And then hop on over to read the great posts written by my wonderful co-hosts Amanda @ Hopkins Homeschool and DaLynn @ Biblical Womanhood! If you hop over and don’t see their posts up yet, do not despair! We are homeschooling moms and (as you all know) kids and schooling sometimes gets in the way of blogging. How Much Does It Cost To Feed My Family? We always knew when we had kids that we would homeschool. My oldest is almost 16 now and he has 2 years of high school left and I would not change anything about whether to homeschool or not to homeschool. I love it and my youngest is only in 1st grade, so I have several more years of homeschooling. That is a happy story to share! I always enjoy meeting children who have always homeschooled. Their eyes are always so clear and full of joy! Thank you for sharing your story! We always knew when we had kids we wanted to homeschool. My kids have never been to “real” school and I wouldn’t change a thing. I love homeschooling! 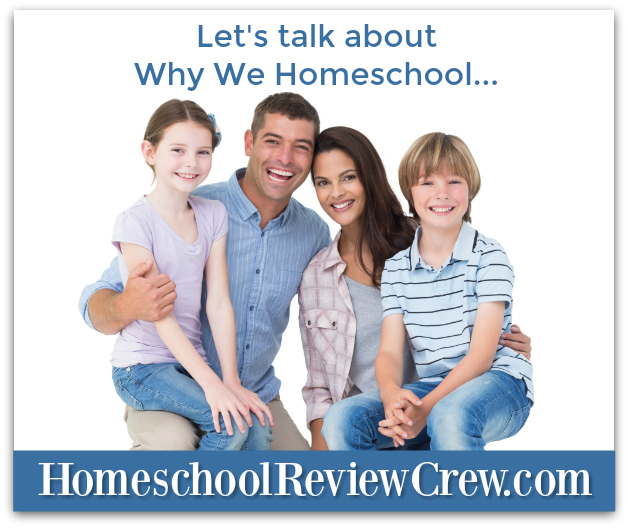 Yes, it is amazing how much homeschooling changes us, isn’t it? Slowing down to focus on family and children really illuminated His works for me. Thank you for sharing your thoughts! Yep. Our oldest was “only” in public schools until 3rd grade but it has taken us about five years to undo some of the harm that was inflicted on her self-esteem, knowledge, and self-confidence. Our youngest has never been in public school and we do see such a difference between them. I still believe that our public schools have a place and that, locally, there are many, many good teachers whose hands and hope are tied by the governments. But they do the best they can for most of the students they have in their classes. There is a young woman at the Karate dojo that my daughter attends who is just beginning her career as a teacher. I talk with her a lot about teaching and education and she shares her experiences as a student teacher and in her grad school classes. I see how enthusiastic she is about teaching and also how much kindness and respect she gives each individual child at the Karate dojo. She does not dictate, she asks. She does not discipline, she encourages. She allows each child to figure out for themselves how to behave by setting the example with kindness and love. There is no punishment and there are always more chances to try again. I spent years volunteering in my children’s classrooms and I know she is headed straight into that government and district mess you mention. I just hope she will not lose hope or change how she teaches. Thank you for sharing your story. I am so glad that you were able to help daughter recover! I pray often for teachers and those entering the field. It is difficult but we still need those good teachers out there making bad curriculum as good as possible for those under their care. I pray this young lady you know is able to make the difference she wants to. I had always wanted to homeschool, but my oldest went to public school. Since he had learning issues, he was bullied, left behind and so much more. I was fighting the school to make sure he drank water every day! It wasn’t until my second son was being bullied in a private preschool that I heard God loud and clear! There was no mistaking it this time. I pulled him first and got started. During Christmas break a month later, I pulled my oldest out. Now, almost 5 years later, and many struggles later, I am thankful for the call from God and have never looked back! Oh yes, the water! And not being given bathroom breaks! My kids were always so dehydrated when they got home! I am so happy you heard God! When my kids were in school, I spent my time volunteering in their classroom and was often assigned to work with the group of kids who were ahead – they never pulled those who were behind out for remedial help, only those ahead. I watched so many children who really should have been learning with a different method or a different setting fall behind or just give up altogether. We are so completely conditioned to think that school is the place to educate that it takes a large leap of faith to break the mold. But then on the other side, we discover that this is exactly how our children should have been learning all along. Thank you for sharing your story! © Kirsten West and DoodleMom, 2013-2019. Unauthorized use and/or duplication of this material without express and written permission from this site’s author and/or owner is strictly prohibited. Excerpts and links may be used, provided that full and clear credit is given to Kirsten West and DoodleMom with appropriate and specific direction to the original content. DoodleMom Homeschool.com Copyright © 2019.